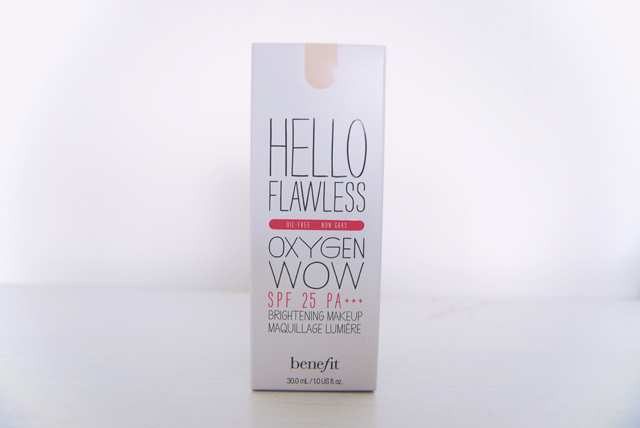 I am a huge advocate of Benefit make up so I was very, very excited to try out the Hello Flawless Oxygen Wow and Stay Flawless Primer that I received at the Benefit Stay Flawless party. 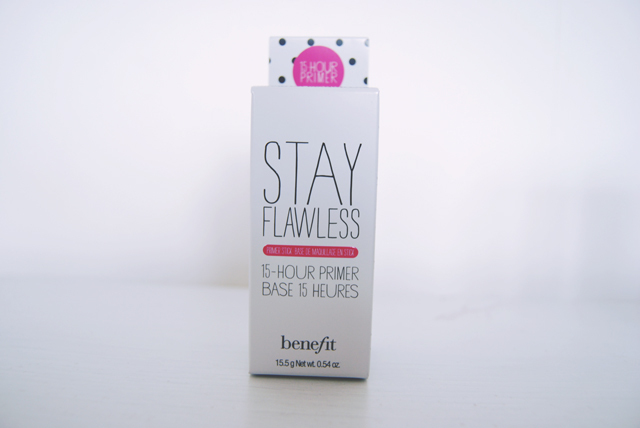 Stay Flawless is a brand new primer that promises to keep your make up flawless for 15 hours. Quite the claim, right! The packaging is very cute with a lovely little polkadot cap. It's chunky, so easy to hold and it seems pretty robust. The translucent cap is thick, not the flimsy plastic that is usually used for make up packaging. The product twists out of the tube like a fancy Pritt Stick. It's big and chunky which makes application really easy. It has a light beige colour within the packaging so it is quite a surprise when it applies invisibly. The consistency is smooth, if a little sticky. The Benefit girl who demonstrated the product explained that this stickiness is what bonds the foundation and it does become less sticky after a few minutes. When I used it, my foundation did stick fast which is pretty impressive. When I took my make up off 10 hours later, it was still mostly all in place. Very impressive! It's being released on 29th June at a price of £24.50, so keep your eyes out for it. I've never used a Benefit foundation before, which is odd as I love their make up so much. 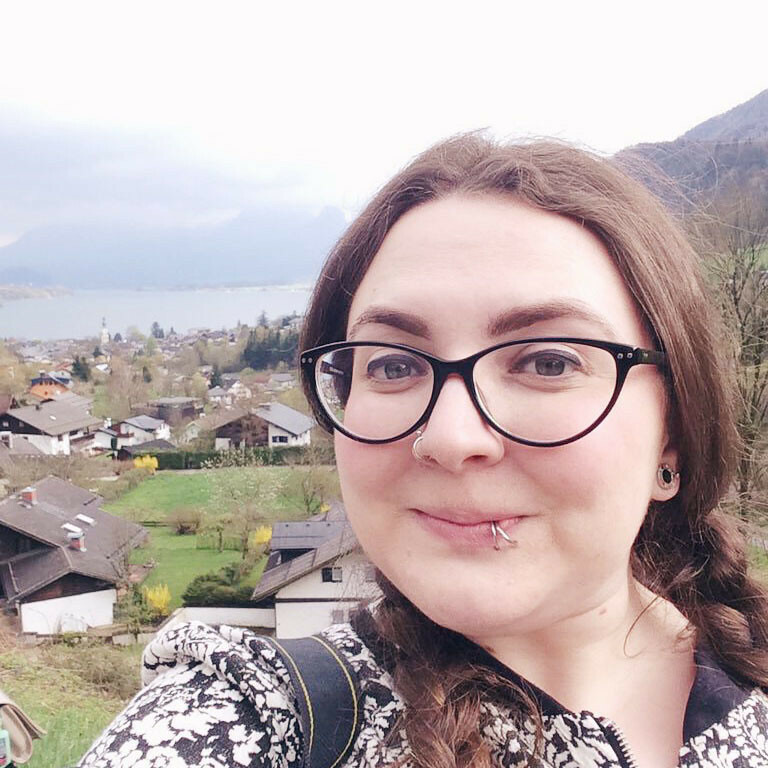 My current foundation has been discontinued, so I've been on the lookout for a new favourite. I have definitely found it! 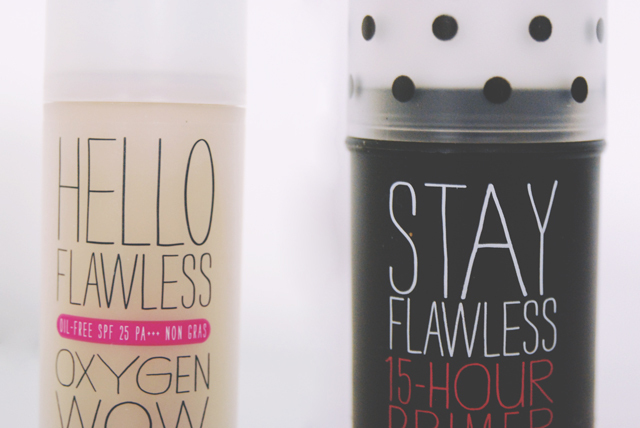 The packaging is perfectly compatible with Stay Flawless and it is just as beautiful. Again, it seems very robust which is always important! The foundation has a pump dispenser (which you don't need to pay extra for, unlike some other brands!) so it's very easy to get the right amount. The consistency surprised me. It was much more fluid than any other liquid foundation I've used. This means that it applies very lightly but it's easy to build up. I applied it using the Benefit foundation brush, which was fantastic, by the way! I use Pure 4 Shore which is an absolute perfect match for my skin tone. I look like a porcelain doll when I wear it. As I said above, it lasted for hours when I applied Stay Flawless first. At £25.50, it's a pretty good price for me and it's well worth every penny. These sound lovely! I was eyeing up the foundation yesterday but I didn't try it out kinda wish I did now it looks lovely! Really like this foundation, but I somehow wasn't aware they did a primer. I am in dire need of one, as having put off buying one for so long I'm now fed up with my makeup sliding off all over the place in hot weather. It's got to be done. Oh I am totally going to try some of that. I love benefit, but I think I love the packaging even more. So cute! I LOVE Benefit too! I can't wait to try this out!!! Thanks for the review! Thanks! 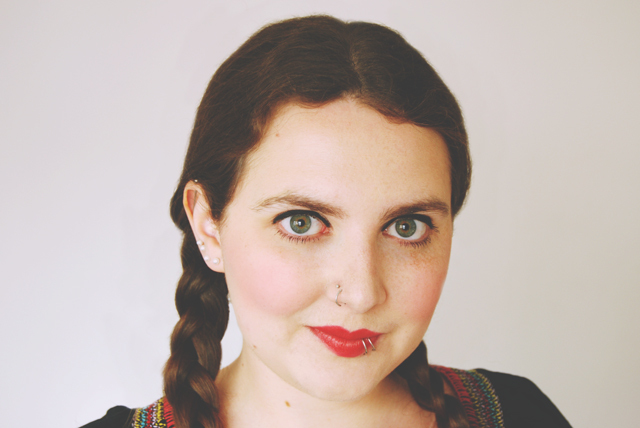 I've been wondering about Benefit's Hello Flawless foundation. What type of skin do you have? Porefessional is my favourite primer but I would love to try this one. i didn't even know primer was a thing. . . i think since i have freckles i always resorted to the school of thought that i would never find a foundation that would work for me. so i never really learned more than how to apply a cat eye. after reading these makeup posts i was wondering— are you wearing any separate concealer in these pictures or is it all the primer + foundation? thanks!